If you listen to the myths circulated by some so-called boating advocates, you would think that American boaters and fishermen can’t get out on the water this summer because they’re so confused about what type of gas to buy. 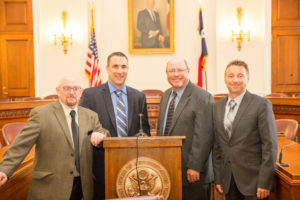 Today, a new poll released by CK Motorsports, a premier certified Mercury Marine Engine & Racing service dealer, and Growth Energy answers that question and finds that despite the arguments offered by National Marine Manufacturers’ Association, 94% of American boaters find it easy to pick the right fuel and are confident in their selection. This is the same message that Fuels America heard last year on the same topic when we hosted a briefing by users and mechanics who all shared the same view. “One hundred percent of the winners on our tournament trail use an ethanol blend in their tanks,” said Brian Sowers, Co-Host of Crappie Masters TV, covering the Crappie Masters All American Tournament Trail based in Clinton, Missouri. The CrappieMasters All American Tournament Trail is a fishing tournament that offers a cash prize to their winners if they use ethanol in their tanks. They go so far as to use a lie detector for their winners to be sure they’ve used ethanol before they get the prize. Today’s poll cements what we’ve known all along: American boaters know what they’re doing. They read labels every day on gas pumps and pick the gas they want for their boat, whether it is E0 or E10. 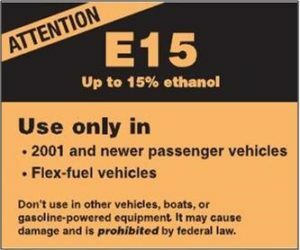 They don’t choose E15 because the pump says it’s not approved for boat engines. The RFS is driving investment in clean, renewable fuels that protect the air and the marine environment, break the link between the U.S. economy and global oil markets controlled by forces like OPEC. The RFS is not forcing boaters to use a particular fuel.